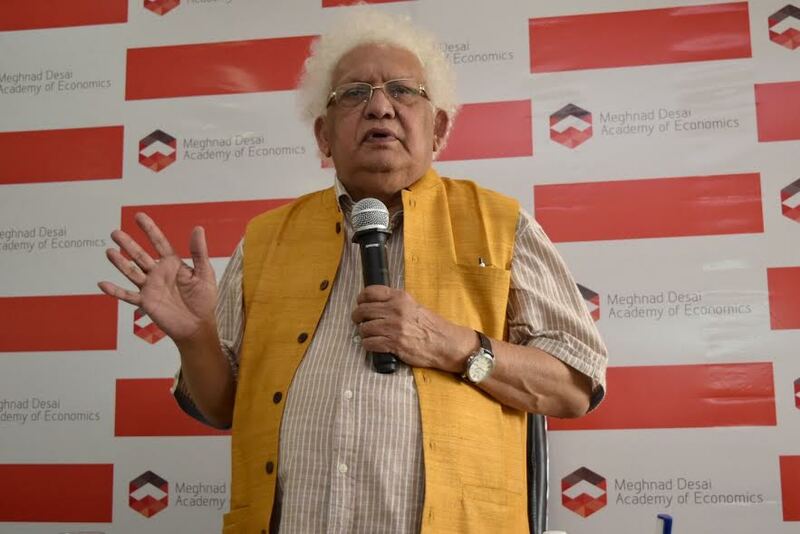 Mumbai: The second batch of 28 students from the Meghnad Desai Academy of Economics graduating in June this year are set for exciting careers. A large number of the graduates have already been accepted as employees and interns by leading organisations like Tata, Reliance, ANZ Bank, RBI, IDFC Institute, Colliers International, Deloitte, Tata Insights & Quants, Decimal Point Analytics, Dun & Bradstreet, Sulekha, Kotak, etc. The students have secured positions like Economists, Policy Researchers, Consultants and Data Scientists. MDAE students attract recruiters of leading organisations as the Accademy’s cutting edge curriculum equips students with the ability to solve real world problems. The program which is a One year Postgraduate Diploma in Economics is designed to ‘skill up’ the student in problem solving and analytics, critical thinking, writing and speaking. The program is offered jointly with the Department of Economics, Mumbai University. Besides the core subjects like Microeconomics, Macreconomics and Econometrics, the students can opt for specialization in one of the three areas – Finance, Data Analytics and Public Policy. The students undergo rigorous training including 350 hours of classroom teaching, weekly interactions with practitioner economists, internships and live projects, and software workshops. The curriculum has been crafted by Lord Meghnad Desai and practitioner economists from organisations such as the IMF, Wellington Fund, Birla Group, Mint. Another unique feature of the program is the industry exposure which forms part of the curriculum. The industry engagements happen through Mentoring, Econ Labs and Speaker Series events. Each student is assigned a corporate mentor for the entire year. These mentors are MDs/CFOs/Chief Economists of leading oganisations like Aon Hewitt, Goldman Sachs, Reliance, Crisil, IDFC Institute and Exim Bank. In the Econ Labs, students engage with practitioner economists and in Speaker Series Events, students hear from leading economists, on live topics that are being debated around the globe. MDAE has also started a Career Accelerator Program with Deloitte where their risk experts are training their students. Lord Meghnad Desai is passionate and actively involved with the academy and facilitates connecting the academy with leading economists and institutions around the world, in recruiting the academy’s world-class faculty and its affiliation with leading academic and policy institutions like MIT, LSE, Mumbai University and the IMF.